February 26, 2016 the main celebrations of the canonization of St. Seraphim (Sobolev) of Boguchar took place in Sofia, Bulgaria. Tthe rite of canonization was celebrated by His Holiness Patriarch Neofit in the Patriarchal Cathedral of St. Alexander Nevsky. Concelebrating were Chairman of the Department for External Church Relations of the Moscow Patriarchate Metropolitan Hilarion (Alfeyev), hierarchs of the Bulgarian Orthodox Church, Archpriest Neloc Oprea of the Romanian Orthodox Church in Sofia, Archimandrite Seraphim (Shemyatovsky) of the Moscow metochion of the Orthodox Church of the Czech Lands and Slovakia, and several other priests and deacons from Moscow monasteries and Orthodox educational institutions. The service was attended by public officials and personalities from Bulgaria, Russia, Belarus, Cyprus and Romania. At the Great Doxology the clergy prayerfully processed from the altar carrying the icon of St. Seraphim of Boguchar, at which point the Act of Canonization of the Synod of Bishops of the Russian Orthodox Church was read, as well as the message of the Patriarch and Holy Synod of the Bulgarian Orthodox Church. After a brief Moleben and Magnification to St. Seraphim the choir sang as the people venerated the image of the newly-glorified saint, which led into the celebration of the Divine Liturgy. After the Divine Liturgy His Holiness Patriarch Neofit addressed the faithful with words of welcome, congratulating them with the great celebration and thanking God for granting the Orthodox Church a new heavenly intercessor. In his speech Metropolitan Hilarion of Volokolamsk noted that the flow of worshipers to the Archbishop's place of burial never stopped even during the years of persecution. 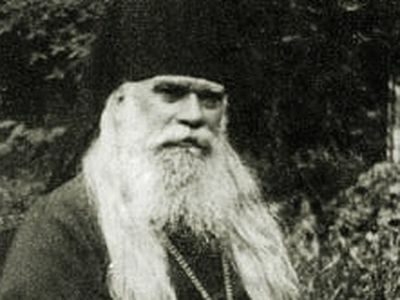 He also drew attention to the many facets of the personality of St. Seraphim, noting his role in Church life as a pastor, intercessor and wonderworker. Metropolitan Hilarion then presented Patriarch Neofit an icon of St. Seraphim, Archbishop of Boguchar and Sofia, the Wonderworker on behalf of His Holiness Patriarch Kirill. 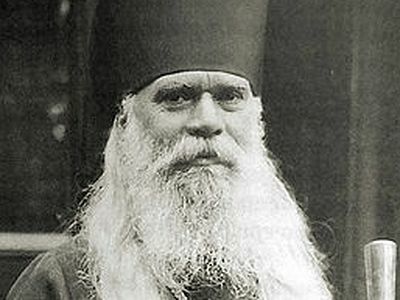 After a reception at the "Balkan" hotel, Metropolitan Hilarion served a Moleben in the crypt of the St. Nicholas podvoriye church to St. Seraphim, assisted by Metropolitans Anthony of Mid- and Western Europe and John of Varna and Veliki Preslav. The same evening, Metropolitan Hilarion and the delegation of the Russian Orthodox Church met with His Holiness Neofit and other hierarchs of the Bulgarian Orthodox Church to discuss the development of relations between the two Churches and the themes on the Pan-Orthodox agenda. The festivities continued in the "Moscow House" with the presentation of the book "Life, Ascetic Teachings, and Sermons of St. Seraphim, Archbishop of Boguchar," published by the Podvoriye of the Russian Orthodox Church in Sofia. Finally, several choirs gave a concert dedicated to the glorification of St. Seraphim which took place in the ancient church of the Holy Wisdom, and was attended by His Holiness Neofit and other hierarchs of the Bulgarian and Russian Orthodox Churches. The Representation of the Russian Orthodox Church in Sofia—the St. Nicholas Church, popularly known as “Russian church”—is collecting testimonial from people who have received miraculous help from ever-memorable Archbishop Seraphim (Sobolev), necessary for his canonization. 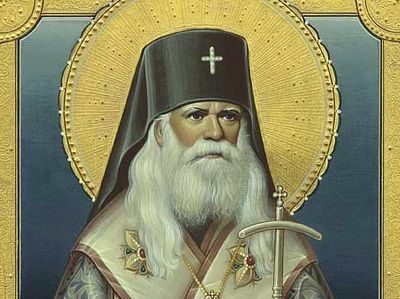 Have the prayers to St Seraphim - the troparion and the kontakion - been translated into English? Thank you.